Co-presented by WAM, SOTA marks the WA Day public holiday (Monday 3 June) with an exciting, eclectic display of emerging and established local talent. SOTA Festival rounds out the long-weekend festivities with FREE entertainment for all ages. The headliners provide a dizzying array of musical styles, ranging from classic rock to Aussie hip-hop, blues and roots to electronic beats. Many artists will be returning from national tours, or making the trip back from international shows, especially for SOTA fans. The festival has a brand new location this year and even more revellers will now be able to enjoy the best of WA music at Burswood Park, with picturesque views of the river, Optus Stadium and the CBD in the background. It won’t just be music on show though – Burswood Park will be chock-full of delicious snacks and drinks to keep everyone energised for a full day of dancing. The grounds will be filled with food trucks offering every kind of cuisine under the sun, celebrating the diversity of cultures in WA. For the first time in 2019 the Bupa Play in WA zone will also be active at SOTA, ensuring that there’s something for all the kids to do – big and small. For those that can’t get down to Burswood Park on WA Day, the sounds of SOTA festival will be live streamed on YouTube, RTRFM and REDFM for all to enjoy. 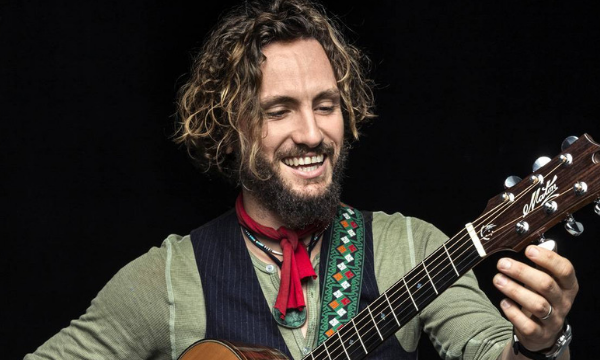 For the very first time Freo local and perennial WA favourite John Butler is coming to SOTA 2019, bringing his distinctive roots and jam sounds to Burswood Park. John has rocked out with audiences all over the world, both solo and as part of the John Butler Trio, and will be bringing his impassioned solo show to the stage on WA Day before taking the wildly successful HOME tour on the road to Europe and the States. Alt-rock legends Jebediah are coming home to SOTA 2019, and bringing the good vibes with them. With their iconic catalogue of 90s hits like ‘Leaving Home’, ‘Harpoon’ and ‘Animal’, as well as modern classics like ‘She’s like a Comet’, Jebediah have consistently captured the sentiment of a nation, and have provided the soundtrack to many Aussie summers. Slumberjack are returning to Perth in the midst of their hugely successful international your SARSWAK to round out SOTA and get the crowd pumping with their energetic, hypnotic electro-beats. The Perth duo have leapt from strength to strength since their formation in 2014, entrancing crowds with their bass-heavy, addictive tunes. Slumberjack are sure to have the crowd at Burswood Park dancing the night away. Rap royalty Drapht is set to tear up SOTA with his masterful lyrics and high-energy beats. The multi-ARIA award winning artist capped off an Australian tour last year, getting audiences jumping with crowd favourites ‘Jimmy Recard’, ‘Rapunzel’ and ‘Sing It (The Life of Riley)’. ARIA award nominated Katy Steele, of Little Birdie fame, is bringing her bold solo sounds to SOTA 2019. Her debut solo album, ‘Human’ received rave reviews, with fans and critics alike praising the new direction with gospel-like melodies mixed with electro-pop production. With her next album due for release in 2019, Katy’s set is not to be missed. Hailing from the state’s south-west, Great Gable will bring their dreamy, alternative rock vibes, including latest single ‘Cool Mind Blue’ to the SOTA stage in 2019. Winner of Triple J’s Listen Out competition for 2018, Reija Lee is bringing her nostalgia-laden, dreamy pop sounds to Burswood Park. Reija’s debut single ‘Love Nobody’ was on high rotation on Triple J’s Good Night’s in 2018, and cemented her transition from her background in dance dubstep to her true passion – pop. The Family Shoveller Band tells stories of Karajarri culture through modern rock, and will transport festival-goers to the remote community of Bidydanga in the Kimberly with their fusion pop rock sound. 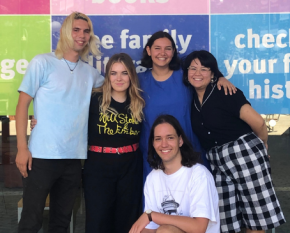 Epic grunge pop/rock band Flossy, fronted by sisters Lauren and Sinaed O’Hara are set to tear up the stage at Burswood Park with their signature perfect harmonies and wailing guitar hooks. After releasing their debut self-titled album in 2018, Flossy have supported the likes of DZ Deathrays, Jebediah and Gyroscope, so are no strangers to the big stage. Fresh from appearances at Listen Out, Groovin The Moo Festival and Ice Cream Factory in 2018, Maori Polynesian, islander born and Australian raised female hip hop artist Hyclass is set to bring her show-stopping tunes to the SOTA stage for 2019. Your Girl Pho will bring her high energy jazz pop tunes to SOTA Fest, getting audiences up and grooving with her massive range and soulful beats. One of Perth’s premier up and coming talents, Your Girl Pho is a must-see for music lovers. Zimbabwean rapper T$oko will bring his unique, genre-defying sounds to Burswood Park after a break-out year in 2018. Hailing from One Arm Point, The Struggling Kings will enchant the crowd with their alternative rock, drawing on their Indigenous heritage to bring a new dimension to their electric sound. Alt-pop band Tether will rock SOTA audiences with their synth and guitar heavy tunes. 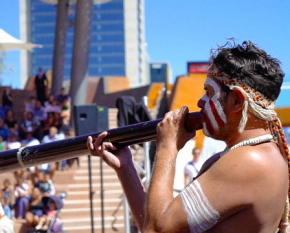 SOTA Festival 2019 will be held on WA Day Monday as a part of the wider WA Day Festival. On Sunday 2 June, the festival will see Burswood Park abuzz with fun-filled family day. Highlights include a bigger that ever, all-inclusive kids zone featuring an inflatable playground, amusement rides, arts & crafts village, live music and entertainment on our new family stage, come ‘n try sporting clinics, petting zoo, gold panning with Perth Mint, the annual WA Day mascot race and much more to keep the little ones entertained all day. There will be food trucks galore representing our melting pot of cultures and a new immersive arts meets science zone. Centre Stage will also be packed on Sunday with WA DJ performances all day, concluding with spectacular Fireworks at 7pm. SOTA Festival is a collaboration derived from the desire to support, nurture and grow creative opportunities for local artists, and to further position contemporary music as a leading cultural identifier for WA. The popularity and awareness of SOTA continues to grow from year to year and the event of now a key feature on the WA music calendar.